Neospeck™ offers a terrazzo-inspired aesthetic with a monochromatic color scheme. Combining retro style with a modern vibe gives designers the ability to create clean, contemporary spaces using large format sizes with rectified edges. Five colors are available in unpolished and light polished finishes. Accentuate designs with a trapezoid mosaic in two complementary blends for an intriguing, geometric effect. 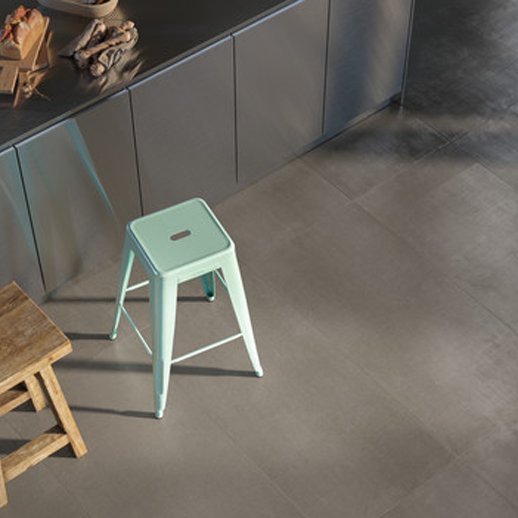 SistemP™ offers a trend-setting minimalistic, concrete aesthetic. SistemP is an impeccable choice for vast spaces exhibiting an ultra-modern look. 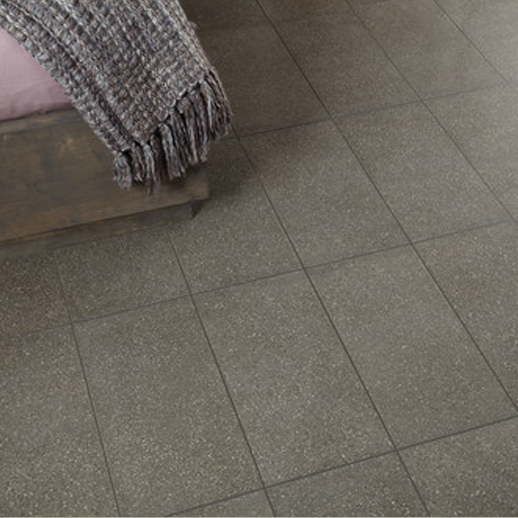 The collection offers large format sizes with rectified edges for a perfectly defined cement look. With all the benefits of porcelain and available in polished and unpolished finishes, this selection is an on-trend look for an industrial design. 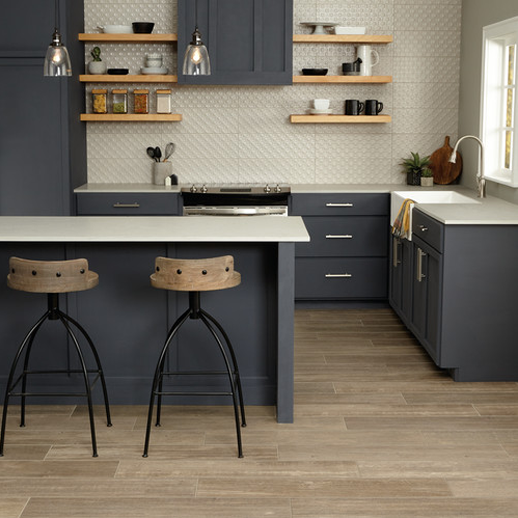 Timberbrook™ by American Olean captivates with the appeal of reclaimed barnwood that has been given new life in a durable porcelain tile. A naturally distressed wood look is captured perfectly with richly-blended colors on a unique plank size. The result is rustic elegance for a modern farmhouse style. Revive the personality of rooms with this on-trend design that will endure for a lifetime.